Good friend and colleague Mike Fortson ( as well as a regular contributor here at TUFOC) was the special guest this last Saturday night on "ATS Live," (Broadcast live from Roswell, New Mexico no less–via KCKN and from Miami by WLVJ, as well as various internet venues and Global Star: Galaxy 19 - Star 5) for their 100th show. 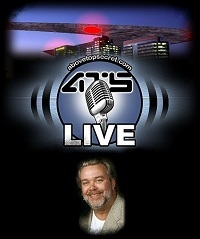 The co-hosts being cognizant of the upcoming 15th anniversary (tomorrow the 13th) of what is known as "The Phoenix Lights," one of the most significant UFO events in history invited Mike to be on, knowing that not only was/is he a witness, but he is also one of the most knowledgeable individuals alive regarding the events that occurred that night 15 years ago tomorrow. When I'm asked about Mike Fortson, the first words out of my mouth are that he has "encyclopedic knowledge" concerning said activity which took place over the skies in the grand state of Arizona (and elsewhere) on March 13th, 1997 . As usual he did not disappoint, given the reactions by the co-hosts and staff at ATS, as well as from the feedback from (ATS) forum members and listeners in general. Although Mike's excellent rapport and extensive knowledge made for a great show, there were some added bonuses. The first pleasant surprise was that former city-council-woman and Phoenix Lights activist, Frances Emma Barwood called into the show. She shared her insight regarding former Governor Fife Symington's negative actions pertaining to the Phoenix Lights then, as well as his much later public reversal and claim to have witnessed the large craft (UFO) himself. If that wasn't enough, the very next caller was long time Ufologist and optical physicist, Dr Bruce Maccabee. Coincidentally, I had interviewed, Mike, Frances and Bruce (together) 2 years ago while sitting in for friend and colleague Angelia Joiner and her show, "The Joiner Report." Like Bruce did with me, he did again Saturday night, and that was to make clear his views on the lights (flares) video taped at 10:00 pm and the UFO activity which occurred between 8:00 pm and 9:00 pm. Most UFO mavens and enthusiasts alike are aware that Bruce Maccabee performed extensive analysis on some of the videos shot at 10:00 pm, of the lights (flares) originally thought to be stationary and over Phoenix proper; although he wasn't the first, his work (re)affirmed that the lights were neither stationary nor over Phoenix as it seemingly appeared (and coincided with those before him, beginning with Richard Motzer's investigation & report). Sadly the subterfuge that began in 1997 by the very existence of the flare videos being melded into the de facto UFO events still exists today. Mike Fortson is one who believes that the flare drop was an intentional diversionary tactic, if this is true, then it has worked brilliantly. 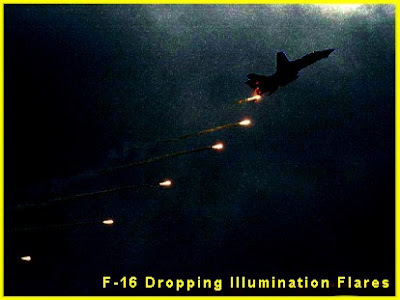 Regardless of deliberate deception or not, as was concluded by MUFON investigator, Richard Motzer in his report in May of 1997, and reiterated by Bruce Maccabee two days ago:"The Lights at Ten O'Clock were Flares; The Real UFO Business was Between Eight and Nine PM."